One of the most distressing experiences for a scientist are false allegations of scientific fraud. As a result of technological progress it is easy to screen publications and PhD theses for plagiarism, photo manipulation and statistical abnormalities. 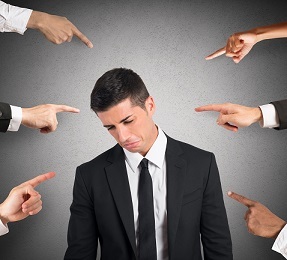 A disadvantage is that false accusations are distributed quickly all over the world and ‘haters’, ‘trolls’ and ‘stalkers’ can stay anonymous while damaging the career of a scientist. What to do if you are falsely accused? Even if you have never stolen a cookie from a colleague people will NOT give you the benefit of the doubt. ‘Where there is smoke probably there is fire’. All co-authors will be severely distressed. Former PhD students will be afraid that they may lose their PhD title. Co-authors will be afraid that their reputation is ruined, that they will never find a job or funding again …and it is all the fault of the person who generated the attacked data. Journalists may call every co-author, your colleagues or any person above you in the hierarchy. They may make provocative statements or lie about the state of the investigation to get quotes for a wild story. This is what colleagues and I experienced. Allegations of scientific fraud normally lead to an investigation by a neutral commission. There is no doubt that this is a necessary procedure to protect science from fraud. However, this means that a group of highly paid senior experts, administrative staff members as well as the accused scientists will spend many hours of their working time with very strict and complex administrative procedures to address the allegations. In the case of false accusations a lot of valuable research time and consequently a lot of tax payer’s money is lost. These scientists honestly belief that there is scientific fraud and want that science stays clean of bad practices. These are the whistleblowers who deserve to be protected without reservation. These persons intentionally want to damage the career of a scientist. Their primary motivation is rage or revenge. They are convinced that they have been treated badly (true or not). They may be honestly convinced that there has been fraud or they may question intentionally the trustworthiness of the work of a researcher. Often it is difficult to distinguish between false accusations and factual fraud. These are the whistleblowers who deserve to be protected but must be instructed – for example by their institution – to behave in a fair way. These persons have a political motivation to ruin the reputation of a scientists for example in the context of elections for important positions such as dean, rector etc. Also in this case it is difficult to evaluate whether the accusations are true or just a political game. Sometimes small justified allegations which would be considered as ‘sloppiness’ or ‘honest error‘ may be exaggerated and followed up by an institution or a commission in a ‘vendetta style’ with destructive effects on the reputation of a scientist. These persons intentionally abuse the whistleblower status. Unfortunately, there are self-proclaimed whistleblowers who behave badly. During the last decade, I talked to several editors of Science, Nature journals as well as specialized journals about this type. Every single editor told me surprisingly unpleasant stories about one or more persons who attacked publications of his/her journal on a regular basis – often without convincing evidence. It is difficult for editors to handle these unfounded accusations and sometimes they delegate the problem to their authors. Sometimes a psychiatric problem cannot be excluded but only clinically trained psychiatrists are able to judge this. Characteristic behaviors are personal insults, multiple accusing emails to a broad audience including journal editors, colleagues, the press and/or politicians – sometimes over long periods as well as numerous accusations based on various ‘suspicious’ elements of a publication or stalking behavior. These persons abuse the status of the whistleblower either intentionally or unintentionally. It is difficult to judge whether they should be protected or stopped. This is a crucial first step. Is it a colleague who was involved in the study or somebody who is from the same institution? Is it a renowned colleague who has re-analyzed the original data or the published data and pictures? Is it a person without a clear scientific affiliation? Is it an anonymous letter to the university, to your funding body or the journal which published your research? Or a journalist who hopes to have found the next scoop? Make sure to identify which of the four types of whistleblowers is attacking you. A typical mistake is to start communicating with such a person before you have carefully checked the case. One of our PhD students suggested to send a copy of her lab book to the accuser. Do NOT do such things. It may be abused. Follow the steps outlined here. Depending on your position in the hierarchy and the authors list you should quickly inform the most important other co-authors to analyze the accusations, namely the first, the last and the corresponding author. Furthermore, you should also briefly inform key persons who are higher in the hierarchy such as supervisors or the head of department that there are accusations and you are now investigating the accusations. Together with them decide whether you should also inform higher ranks in the institution such as deans, vice rectors and rectors, CEOs etc. Make a clear plan who should communicate with colleagues, the press and the public. Get informed quickly what the institutional rules for cases of potential scientific fraud are, who has to be informed, which procedures have to get started under which circumstances. Do not communicate anything before you know whether the allegations have any substance. If you can not avoid to comment state only that you are investigating the accusations right now. Try to avoid journalists who may try to manipulate you to state stupid things which will be definitely used against you to get a nice story (such as “Scientist states scientific fraud is possible”). Check carefully whether there is any substance to the allegations and contact all co-authors who have worked on the dataset which is under attack. Get all original data and document clearly which aspects of the study are attacked. Do NOT touch or remove the corresponding lab books, ask a neutral person to make photocopies to avoid further accusations that you may have manipulated the lab books. Lab books should always be safely stored in the research institution where the experiments have been performed. As a rule of thumb they should be stored 10 years after the data have been published. Get crystal clear about the questions whether there is anything wrong about the generation and documentation of the original data, the statistical analysis, the description in the results section and the presentation in the figures. If anything is wrong make a clear decision whether it is a result of sloppiness or stupid mistakes, honest error or real fraud. If there is no fraud describe very clearly why the accusations are wrong or misleading. If there is considerable scientific debate in the community about the correct methods to be used make very clear why you have decided to choose the published one. If the accusations are based on wrong assumptions write it down – similar to a polite ‘point-by-point reply’ for a reviewer comment. Write a short summary for all co-authors and explain the following: who is making the accusations, how much substance do the accusations have, who is responsible for communication about this file and what are the next steps? It is useful to let only one person communicate to the press – for example the first or the corresponding author. Discuss with all co-authors whether they agree with your analysis and the summary. Inform all persons in the hierarchy of your institution who might be addressed by colleagues or the press such as the head of department, the dean, the vice rectors, the rector, the CEO, the press department and any commission who is responsible for scientific integrity. Follow the institutional rules for cases of potential scientific fraud. Hopefully the institutional investigation of the case either reveals that no further investigation is necessary or after intensive investigation you are cleared. If you are not treated well by your institution or by the accuser you must get legal help. 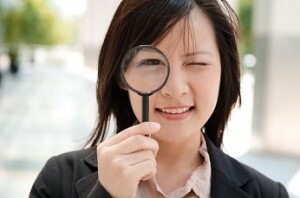 Analyze carefully whether the accusations are too vague to start a legal case. If institutional rules are not followed this must be documented and addressed by a lawyer. When you are cleared from the allegations you need a written statement from the commission who has investigated and cleared the case. Communicate this to all press organs, websites and social media who have published the accusations – and be prepared that they are not interested. Clearance from accusations is not exciting news. If your case is mentioned in Wikipedia or on other websites make sure to put a link to the clearance statement. Being falsely accused is terrible stress. To cope with this it is useful to discuss your experiences with young researchers to make them aware about the right procedures and healthy emotional reactions to this unpleasant situation. This helps to make science a better place to work and may also lead to psychological release. Please tell us what you think and add a comment below. 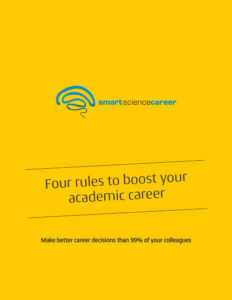 PreviousDo postdocs need leadership skills? NextShould I choose a big or a small university? Thank you for this interesting advise about how to deal with false accusations of scientific fraud. However, there is also another side to this story. How should we deal with bad practices within our own institution or research group? What is the correct way to keep our research clean? I can imagine that it is quite difficult to accuse an experienced researchers of scientific malpractice. In fact, it happens quite often that experienced researchers are accused but if the allegations are not based on clear evidence the scientist should always get the benefit of the doubt – otherwise stalkers, trolls and haters can easily destroy the reputation of an innocent person. Scientific integrity and strategies to prevent bad practices are regularly on the agenda of all research institutions and the field is continuously evolving. I’m left wondering if the majority of current fraud accusations are a result of technology than recognizably poor science. You point out that technology makes it easier to spot fraud and I agree. This rise of technologic ability causes an rise in the use of such technologies. Any technology requires some training in its use. The most “intuitive user interface” fails for some percentage of users, so are those making accusations fluent in the use of the technologies used to validate their accusations? You touch on this above. Bravo. There’s also politics and personalities, and who among us hasn’t been subject to this in some way, shape or form in our careers. Some benefit, others don’t, and the real victim is science itself. Science, like any other human endeavor, is a human endeavor and even the best science is subject to politics and personalities. Many of us know researchers whose results were squashed because they didn’t meld with some senior researcher’s work. Just ask Galileo. Perhaps there is a need for a few counter measures in anticipation of potential accusations of fraud. One of the research team could be asked to be the devil’s advocate to spot any errors or ambiguities before publication. A second type of quality control would be to show the work to a trusted,fellow scientist for a critical review. It’s all too easy to assume that others will appreciate the validity or logic of one’s approach but, of course, good science must be able to stand up to close and critical scrutiny. Thanks a lot, thats a very good point which is not addressed here. I blew the whistle on my line manager who was falsifying her research students’ records (indicating the students had enrolled and passed courses they had not done etc). I was the coordinator of the program and I found this out in the course of my work. The students confirmed that they had not actually done any of the required coursework, but graduated nevertheless. This was in 2009 and was covered up by my university which conducted a self-investigation. The conclusion was that my line manager had not done anything wrong; and that her reprisals in the form of demotion, pay cuts, removal from committees etc were not reprisals. I requested a different line manager or transfer to another department at least 14 times (in writing), which the university simply ignored. Since then I have been falsely accused by my line manager of research fraud five times. The university has vigorously pursued these accusations and every time I was able to provide convincing (hard evidence) that these accusations were false. However, rather than close the investigations, the University has just kept them open and apparently does not intend to ever conclude that I am innocent (since despite its considerable efforts it cannot conclude that I am guilty). Therefore, it is factually correct that I am currently under investigation for research fraud, financial fraud, academic fraud and serious misconduct, and have been for the past 4 or 5 years. How do I make my employer complete the final step of the investigations and close each case of alleged fraud? The university does not respond to my requests to come to a conclusion. I have spent $30,000 in lawyers fees, which was a total waste of money. The university simply reneged on its Agreement to annul my line manager’s false reports that I am corrupt. How do I make my university conclude its investigations of me? I am unemployable anywhere else with these “ongoing” investigations hanging over me. this seems to be a difficult case. In principle, you did the right thing – ask a lawyer to help your case getting closed. It sounds like the relationship with the institution is already very difficult. Probably you already have the label of a “trouble maker”. In these cases it sometimes helps to negotiate that you are willing to leave and find another position elsewhere (if you want this) but they must help you by closing the case and giving you a written certificate that there is no substance to the allegations. Every future employer will be very careful to hire you if you have severe problems with your current boss because this may indicate that this may happen again in the new job. Thus, to clean your reputation for a new job you should find a solution which looks “mature” and “professional”. Thanks for your very thoughtful answer and I have followed your advice. The University offered me “voluntary” redundancy, which I have accepted. However, the university then “closed” the case on the grounds that I am leaving. Since I am no longer employed, the university has declared that the investigations are dropped. “Dropped because I left the university” is not the same thing as being cleared. Is this a hopeless situation? I reminded HR that the university policy is that the subject of any investigation will be told the outcome of the investigation. However, I can’t see them following their own policy on this. I have an email from the investigator that she was writing up her final report a month ago. I know the investigation was concluded and there is a report (that presumably clears my name because otherwise I would have been fired, and also, I am actually innocent of all charges). How can these people destroy my career and reputation because I upheld their own policy on research integrity? What do I do now? Normally universities want to get rid of problems. You may negotiate again and kindly ask to give you a short statement that you are cleared of the allegations (but it must be an official email by a responsible person or better a letter with signature). Do not ask for the report or any evidence which may proof that they made procedural mistakes (they will probably not give it to you based on the previous scenario you have described. Why should they?). Do not ask for apologies. Do not ask for anything more than this short statement in written form. As a trade-off you you will stop any further actions (including further legal interactions) which would cost both parties a lot of time and money. If you communicate this in a reasonable, mature and polite way I think there is a good chance that they are glad “to get rid of the trouble-maker”. This will restore your reputation – at least in part – and open the door for a new career elsewhere. Well, I’ve often been down this route during my career. Despite excellent results in my teaching undergraduates at a British Polytechnic (now a University), without a Doctoral degree promotion was never on the cards, regardless of my long field and research experience in science. So I got out and went into industry as a freelance environmental consultant, again with excellent results. And inevitably I trod on a few toes. The threat from furious line managers, project team leaders, and even politicians and governments, was “We’ll see you never work again!”. This was not an unusual response in such confrontations between fact (mine) and politics (theirs). And I learned that there’s always a way around this. Arguing your corner using science (and yes, law too) just doesn’t work, once ‘The System’ gets its guns out. But as an experienced Aikido teacher I learned how to recognise my opponents power base and how to destabilise it. This is the key to turning things over in your favour. There is always something that they fear – so find out what it is and use it against them. On one mission in Africa I was faced with extreme distortion of evidence aimed at completeing the largest sub-Saharan construction project ever planned (at that time), I had been contracted to carry out work to an international standard, funded by some of the largest international Development Agencies. When I was dismissed for refusing to play the fraud game for my Masters, I warned the Donors that if they continued to fund the project they would be in violation of their own charters. The funding stopped, just like that, and the contractors were convicted of fraud! And the local people even torched their offices – not at my recommendation, I hasten to add! And yet my professional services just became even more in demand than ever. The lesson? Find ‘The Man With The Big Stick’ and get him on your side! Lawyers aren’t in that line – as Cat says, no use at all. I’ve spent over a decade teaching myself law for one long-term campaign, become a ‘world expert’ on a very specific argument, and still the politicians win in the courts. They can always find ‘guns for hire’ – the frauds from within our own scientific community who are ‘safe pairs of hands’. My own community of 20,000 poeple was poisoned accidentally 27 years ago, and we’re still battleing these dangerous people, even when people are now dying as a result. Sp you have to learn how to identify the real weak pivotal points in your opponent’s armoury, and use them against them. And if you aren’t prepared to take that line, then you’re stuck with the situation you find yourself in. It’s either suffer in silence, or have faith in yourself, get out and find a better life elsewhere. It’s a very big world, and there’s always something new and eciting around the corner, if you’d only believe in yourself and take that first step. I did a postdoc in a renowed research institute in flanders. I have been the subject of mobbing from my supervisor. As a consequence, I spoke with the director of this lab who has been witnessed several times of my bad working conditions. Based on this discussion, the director supported the transfer of my postdoctoral fellowship to another laboratory. In parallel, my supervisor has contacted different researchers to discredite me, initiate rumors of scientific fraud, which led to impeding my transfert to another laboratory. As a consequence, I did not have any host laboratory where to pursue my post-doc and I was forced to resign my contract. My supervisor did not have any proof to support his accusations and denied it after my resignation. The human ressources of this institution told me that they will start an inquiry about the rumors spread by my supervisor but nothing happened. The sad truth is that the human ressources and the responsibles of scientific integrity prefer to keep “crazy person” and to be blind to avoid to harm the reputation of this renowed research institute. I was very interested to come across your article. I had alerted Monash University,Australia .As a human rights lawyer,I am at this very moment involved in helping a poor victim who was falsely accused of scientific misconduct ; not even the most preliminary draft of the offending study existed. His detractors were and remain politically very powerful.I wrote a column on this shocking case: http://indiaopines.com/oppression-indian-medic-australian-university-2/ . The two culprits viz David Copolov and John Funder just issued a blanket denial without addressing any of the points despite my challenge to them and the Monash University. Here is another link from the highly respected portal whistleblowers.org : http://www.whistleblowers.org/index.php?option=com_content&task=view&id=1220&Itemid=190 It states: Intentionally creating false allegations of research misconduct is itself a form of research misconduct.